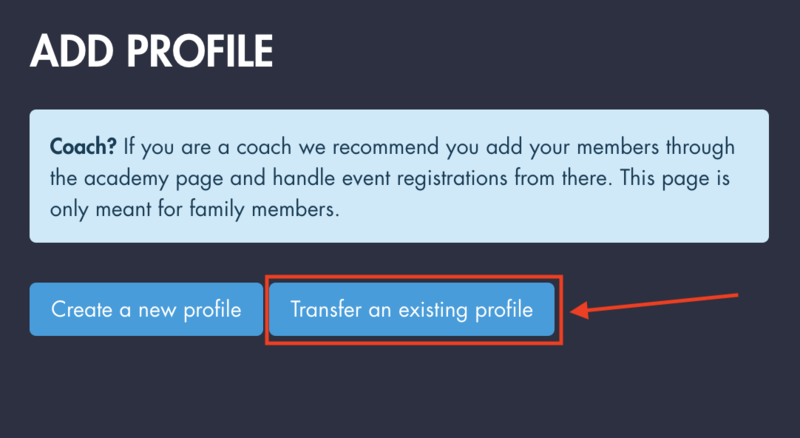 If you have a personal account that you use when you sign up for events but wants to add another profiles to it, we have support for this. 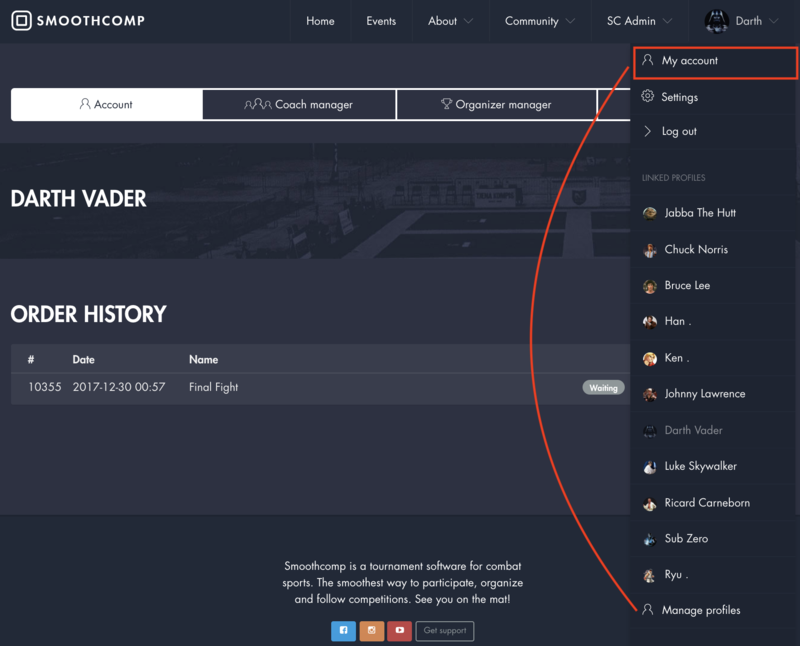 Maybe you are a fighting dad with one kid that also competes and you want to add him to your account and become a family on Smoothcomp also, no problem! 2. Click "Add a new profile"
4. 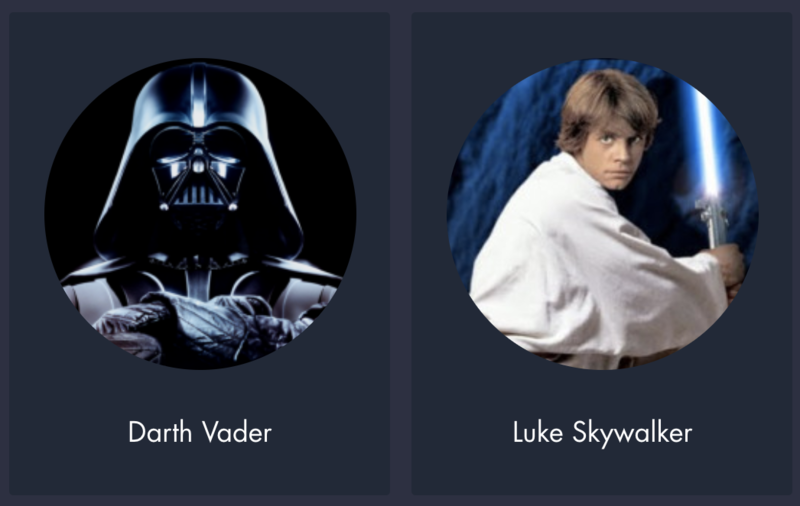 Your child is now added to your account and you can switch between them without having to log out, just click manage profiles. When you register yourself or someone from your shared account you will need to complete the registration and payment before switching to another profile to repeat the process. This feature is intended for families only and not for coaches. If you are a coach, please use our much more powerful coach manager. 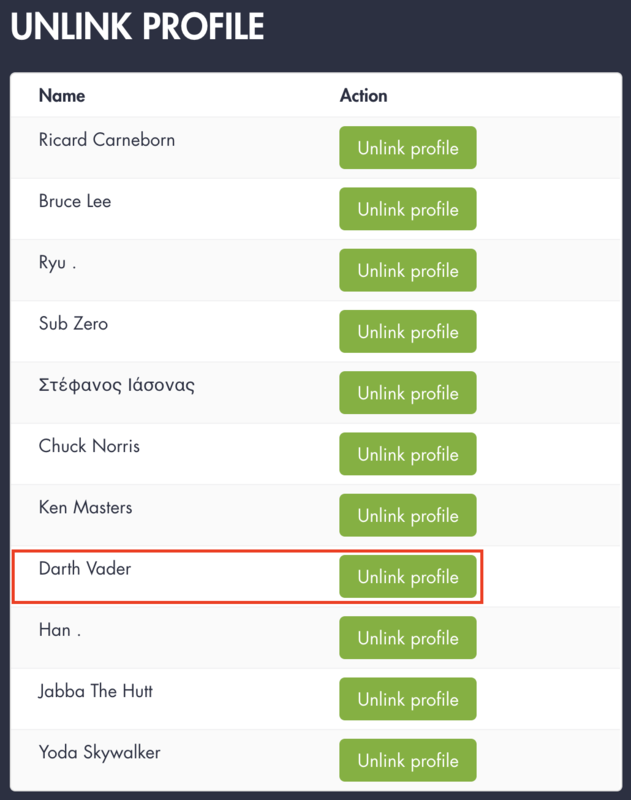 If you want to unlink a profile and give them their own account log in you can do this with these steps. 1. 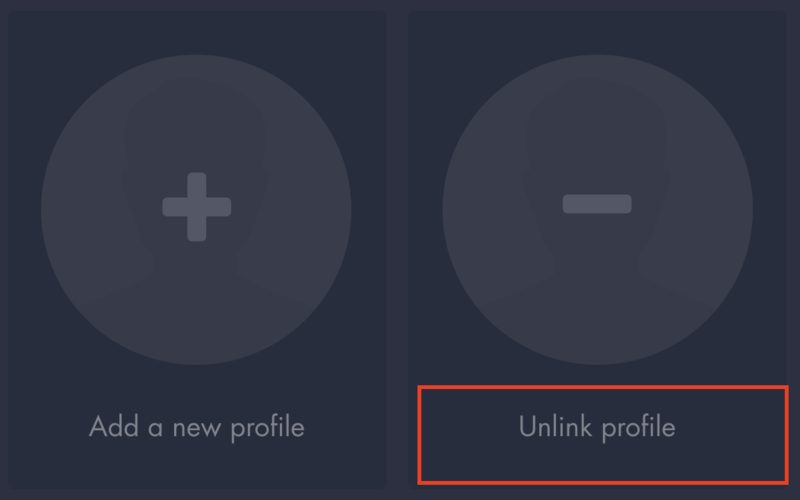 Click the unlink profile button from "manage profiles"
We also have an option to transfer an existing profile to your account. 2. 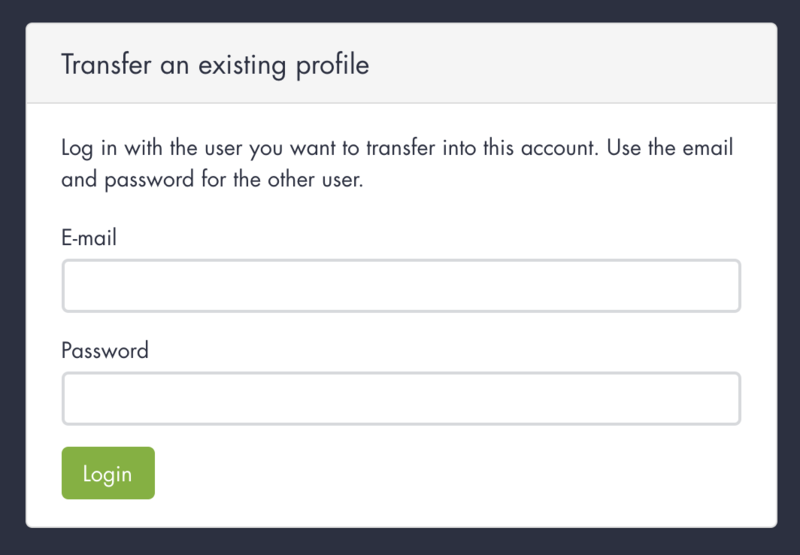 Add the email and the password to that account to transfer that profile to yours. 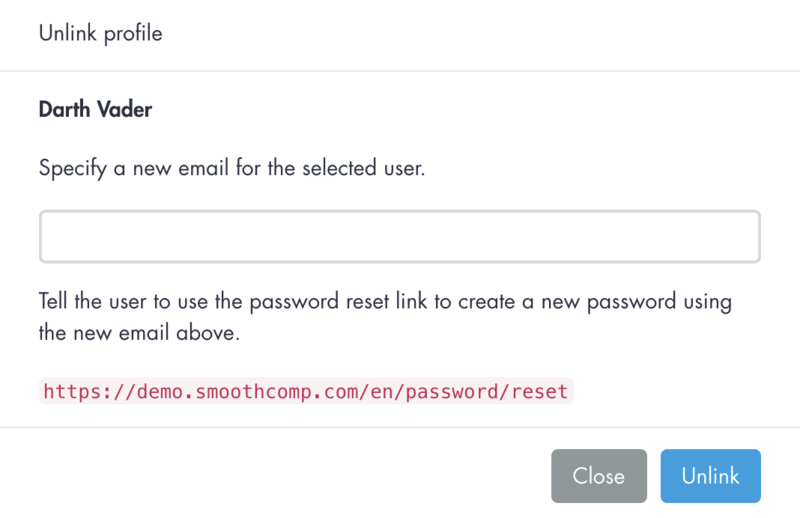 The account will still keep its own profile page but will now share your email and use that to login with instead.